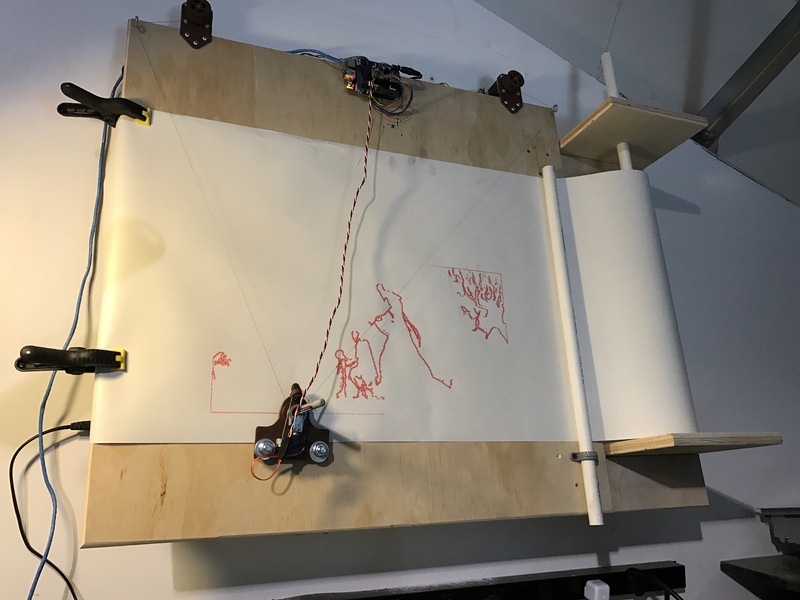 Create a paper roll holder for the QuickDraw Bot. I hope to draw something interesting with it during each of my visits here at MakerCave. Cut (2) more light cover saddles with the Handibot. I have started using the Handibot more and more. I managed to set up VCarve and Showboat Controller Software onto the Levono Yoga 11e laptop and subsequently cut parts from the Handibot. Still an underutilized tool. This entry was posted in Shop Log and tagged Handibot, QuickDraw Bot by kietcallies. Bookmark the permalink.